When George Met Patti: A Very Special Interview With Patti LaBelle! Something incredibly soulful and incredibly spectacular is happening this Autumn here in the UK: Patti LaBelle is returning to the British Isles to headline The Great Voices of Soul UK tour! 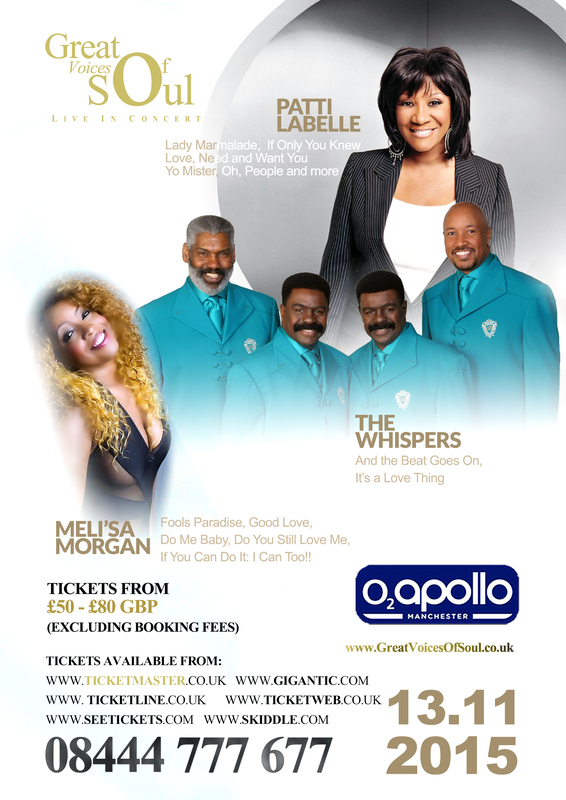 This November Miss Patti LaBelle will be joined at the SSE Wembley Arena by The SOS Band, Gwen Dickey of Rose Royce, as well as Soul II Soul, Meli’sa Morgan, Loose Ends featuring Carl Macintosh, and excitingly, a rare UK performance from The Whispers. 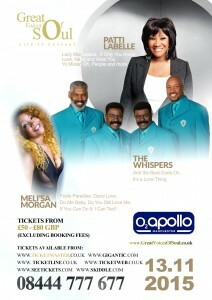 In Manchester, Patti LaBelle will be joined by The Whipsers and Meli’sa Morgan in what will be an exciting show at the 02 Apollo! We had the privilege of speaking with Patti LaBelle earlier today about the tour, her career and upcoming plans thanks to our friends at Shiloh PR. It was a true honour to speak with such an icon of soul and popular music, and for your listening pleasure you can hear our interview below via Mixcloud. For more information on The Great Voices of Soul UK tour click here, and tickets are now on sale for SSE Wembley Arena on the 15th November, and tickets go on sale for the Manchester date soon.